Scottish actor Sam Heughan known for his stellar performance as Jamie Fraser in the Starz series Outlander, which earned him several awards including two nominations for the Saturn Awards. He began his showbiz career performing on stages who then landed a lead role as John in the play Outlying Islands, performed at the Royal Court Theatre Upstairs. Sam Heughan was born on 30 April 1980, in Balmaclellan, Dumfries and Galloway, Scotland. He’s currently 38 year sold. Sam Heughan had his primary education at the Kells Primary School. When he was 12, he moved to Edinburgh where he attended James Gillespie’s High School for a year and then transferred to the Edinburgh Rudolph Steiner School. After high school, Sam got himself enrolled at the Royal Scottish Academy of Music and Drama, graduating in 2003. He had a fair share of affairs with actors including Amy Shields, Abbie Salt, Cody Kennedy and Caitriona Balfe. In 2010, Sam Heughan made his onscreen acting debut with the film Young Alexander the Great for his role as Alexander. In 2004, Sam landed a pivotal role as Philip Dorr in the ITV series Island at War. He appeared in total of 5 episodes. In 2002, Sam debuted in theatre playing John in the theatrical show Outlying Islands at the Royal Court Theatre Upstairs in London. His role as Jamie Fraser in the Starz series Outlander. Sam has an estimated net worth of $5.5 million US dollars as of 2018. He owns a Maserati car. In 2009, Heughan landed a recurring role as Scott Nielson, the boyfriend of Nurse Cherry Malone in the BBC soap opera Doctors, the role which earned him lots of fame. His breakthrough role came in 2013, when he was opted to cast in the lead role of Jamie Fraser in the Starz series Outlander. The series was a huge success among TV audience which brought him international visibility and lavish revenue. Sam was conferred with the Gold Derby TV Award for Drama Lead Actor for his outstanding performance in the series Outlander. He was also selected for the Best Actor in a Drama Series during EWwy Awards and was nominated for Best Supporting Actor on Television by Saturn Awards. He was nominated for a Laurence Olivier Award for Most Promising Performer in 2003, for his performance in the play Outlying Islands. 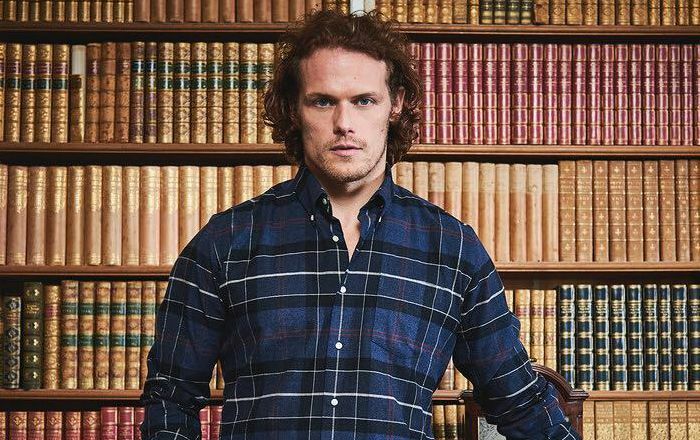 In 2016, Heughan was made Barbour’s first Global Brand Ambassador. He runs his own charitable foundation My Peak Challenge since 2015.